If you are considering filing for bankruptcy in the state of California, it is imperative that you reach out to an experienced bankruptcy attorney for assistance. Doing so could save you plenty of heartache and possibly even some of your most valued possessions. 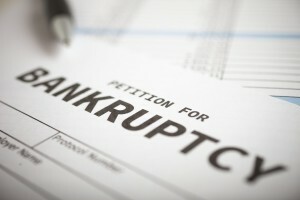 A bankruptcy attorney will offer you invaluable legal advice that will protect your assets to the extent of state law. A bankruptcy attorney knows the ins and outs of California’s unique bankruptcy laws. He will advise you about the different chapters of bankruptcy, the paperwork that must be filed and how to handle creditors. He will always be there to answer your questions. Bankruptcy is far from a straightforward process. There is no doubt that you’ll have plenty of inquiries and concerns as the events unfold. Don’t go it alone or rely on the Internet for your legal advice. Chances are you will likely end up making crucial mistakes that will benefit those nasty creditors. 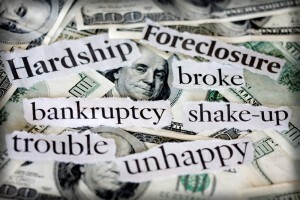 Bankruptcy attorneys understand the subtle nuances of California’s bankruptcy laws and courts. If you proceed “pro se”, meaning without an attorney, you will be held to the same standards as an actual attorney. This puts you at an extreme disadvantage when pitted against your creditors who have teams of seasoned attorneys ready to pursue your unpaid debts. The harsh truth is that bankruptcy courts have no sympathy or special consideration for pro se filers. 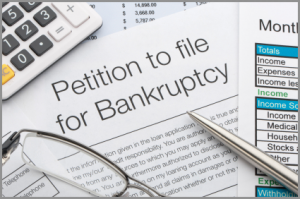 Rely on an experienced bankruptcy attorney to fill out the detailed paperwork, develop a sound legal strategy, keep track of deadlines, show up to court dates and formulate a chapter 13 plan if deemed prudent. Your attorney will also know exactly how to respond to a court action or an action of opposing counsel in a way that will not incur penalties. You should be aware that if you respond in an improper manner, your bankruptcy case could be dismissed or denied and you will likely lose your most valued belongings like your home and car. Consider the fact that California’s bankruptcy laws are not static. They are dynamic. This means that they are constantly changing and the bankruptcy information that you obtain from the Internet may not be accurate. A bankruptcy attorney has made the field his life’s work. He will be up to date on all the latest changes to the laws as he handles bankruptcies for numerous clients on a daily basis. Your bankruptcy attorney will know exactly how recent alterations to the laws will uniquely impact your particular case. This is the type of custom tailored attention to detail that can’t be replicated. Of critical importance is the filing of your property exemptions. These are incredibly important in both chapter 7 and chapter 13 bankruptcies. Your attorney will know the up to date letter of the law concerning California exemptions. These change on a fairly frequent basis and the filing process is detail intensive. You can’t afford to make a mistake with your exemptions. It could make the difference between being able to live in your house and being kicked out. Or, it could mean the difference between holding onto your vehicle and having to walk or take public transportation. Lean on an experienced bankruptcy attorney who knows exactly how to list each of your major properties and determine their equity. Filing on your own just is not worth the risk. Rely on a savvy bankruptcy attorney to understand and adhere to the minutia of California’s idiosyncratic bankruptcy laws and statute citations. Your bankruptcy attorney should be viewed as a trusted ally who has your best interests in mind. He might even assess your situation and determine that bankruptcy is not the best solution for you. If it turns out that bankruptcy is necessary, he’ll be in your corner throughout the duration of the process and work on your behalf to ensure that your creditors practice legal and fair tactics negotiations. In the end, hiring a California bankruptcy attorney is critical to give you the peace of mind that you deserve. Your financial nightmare is coming to an end. Do not risk being left on the hook just because you did not want to pay for the assistance of an established professional in the field.